…is ridiculous. Too much tasty content. But why do we have to wait until October for Deep Space Nine? 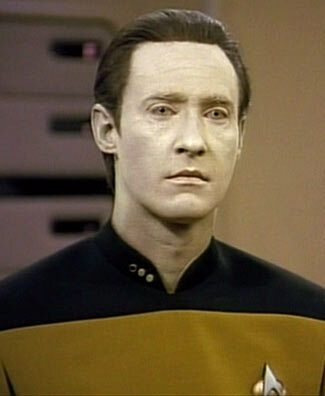 It’s fortunate that Data plays for the good guys in TNG, because he would be one formidable enemy. And that’s not taking into account his ability to sing opera with Picard. Unfortunately, Data sacrificed himself in Nemesis. As luck would have it,though, another Data lookalike, B-4 (really? ), was found, and at the end of the film seems to have some of Data’s memories. I guess you could say that… wait for it… B-4 you know it, Data will be running around the quadrant once more! Wha-ha! Humor! I love it! Perhaps I should turn off my emotion chip? One of my top ten films of all time, Wrath of Khan has many great moments. This final space battle, however, is my favorite. Khan’s superior intellect is tasked by Kirk’s abilities as a captain, with deadly results. A classic in every sense. 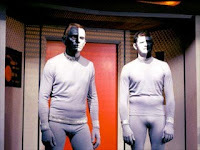 In the classic Trek episode Let That Be Your Last Battlefield, the absurdity of racism is explored via aliens with faces of opposing colors which look identical upon first glance. It was a wonderful concept, but one which unfortunately ended at the neck. I’m not sure which makes me more uncomfortable- the bulging tights, or the muffin-top-emphasizing shirts. Either way, it all adds up to one bad costume. 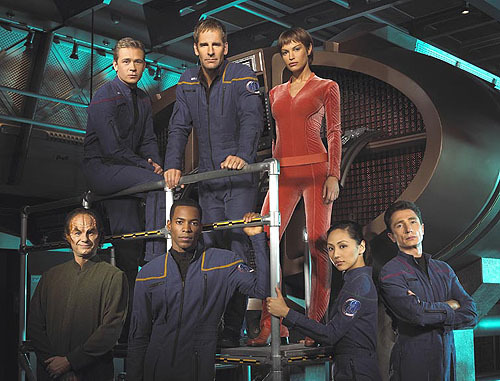 It’s no secret that I absolutely love the Star Trek universe, in all forms other than Enterprise. When it comes to questionable costume choices, however, the original television series and films have produced some tasty examples. 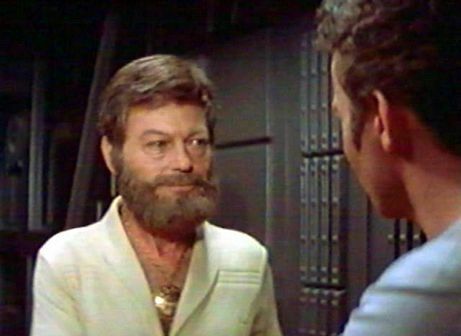 My personal favorite is good old Dr. McCoy as he first appears in Star Trek: The Motion Picture. Mountain man beard, huge medallion, dominant belt buckle. Hubba hubba! Somehow, the Seventies are transported to the 23rd century. 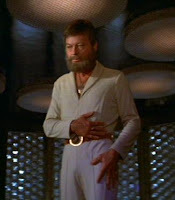 Deforest Kelley donned enough of these types of clothes in the films that I wonder if they were much different from his actual wardrobe.